While performing in the US I am very often asked to include a social outreach activity during my visit and so was this time, during my engagement with the Stockton Symphony Orchestra in California . The orchestra supporters have generously offered me an entire house for my own use – a house equipped with a huge gourmet kitchen , swimming pool , a lake WITH A KAYAK in front of the house , lovely people that took care of me , and all of this in between rehearsing Ravel concerto . Generally ,the weather was amazing and war, the swimming pool was very,very blue all the people were wonderful and friendly and I was having a fabulous time. 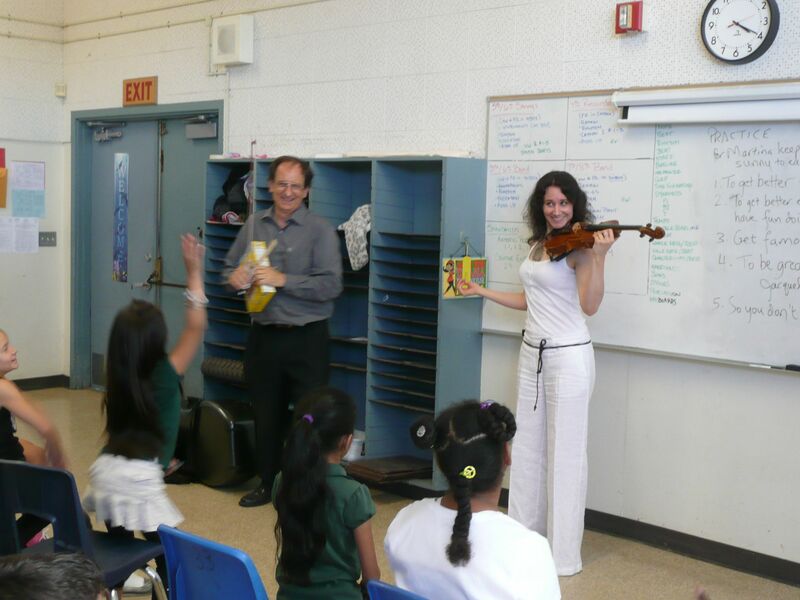 So ,by the time I was asked to visit an elementary school with children aged 10 and 11 that were thought according to El Sistema and tell them about the importance of practicing I found I was the one that needed to reach out for inspiration .My opening sentence to them was ‘ Guys – I need your help. The weather is beautiful, there is a swimming pool at the place where I am staying and I just DON’T FEEL like practicing. But I have to .Otherwise , sometime I won’t be able to pay my rent anymore. So , today you need to help mw out. 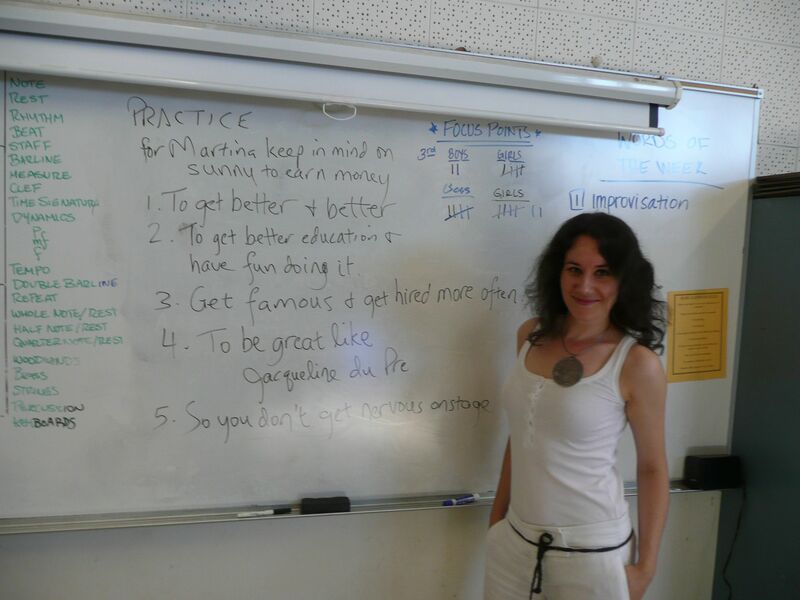 Please , let’s come up with 5 good reasons for Martina to practice on such a sunny day’. After the initial confusion, everybody showed great compassion and willingness to help with some either good or …..well , at least interesting ideas )))) . It is so wonderful to listen and watch what a still unspoiled and direct mind of a 10 year old will come up with! Numbers 1 and 5 are my personal favourite! Afterwards , they were trying to teach me to play the violin and I did my best effort to produce the worst screeching sounds in the entire world.That delighted everyone and convinced me aditionally that choosing piano was not such a bad idea after all . Thank you!I hope I can have more opportunities like this one, it was a a memorable experience!